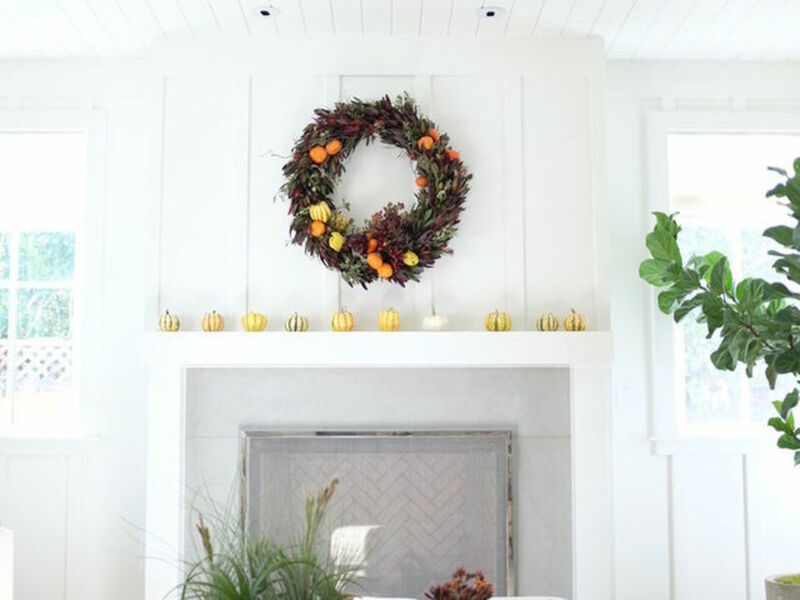 Give your fireplace — or sideboard or dining room table — a little extra love this year with decorations that celebrate the harvest, Thanksgiving, and more. To get your creativity flowing, take a look at these styling ideas, from an arrangement of pumpkins and fall leaves to a collection of branches and feathers. 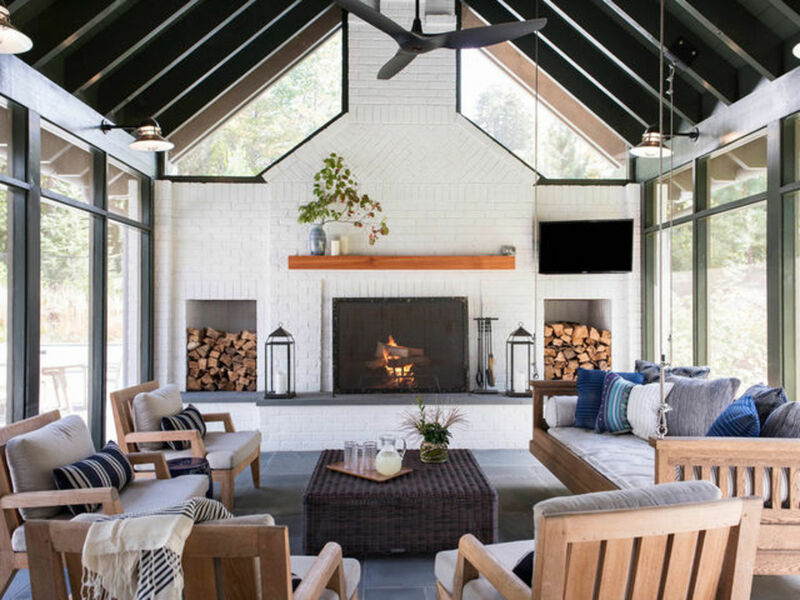 Keeping mantel decor simple and inspired by nature gives a fresh feeling to an airy living room. Try a wreath made of leucadendron foliage, lichen-covered twigs, persimmons, and tiny pumpkins. 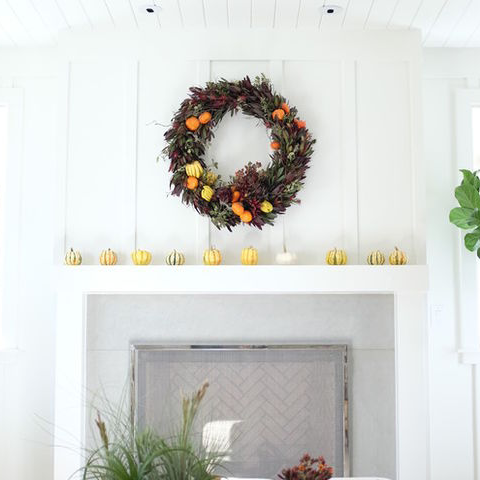 Add creamy yellow and green-striped pumpkins in a row on the mantel. Introducing deeper colors, like leucadendron's burgundy leaves, and bright accents from pumpkins and persimmons can make an otherwise neutral room feel festive for the season. 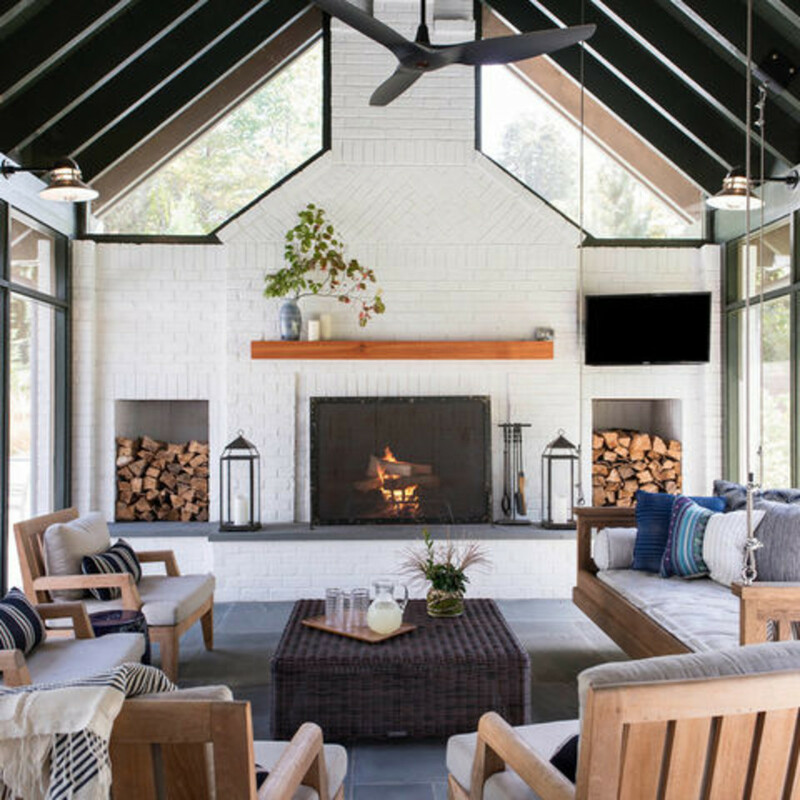 A spray of green and gold fall leaves and a couple of candles is all that’s needed to make a cozy fireplace feel dressed for the season. 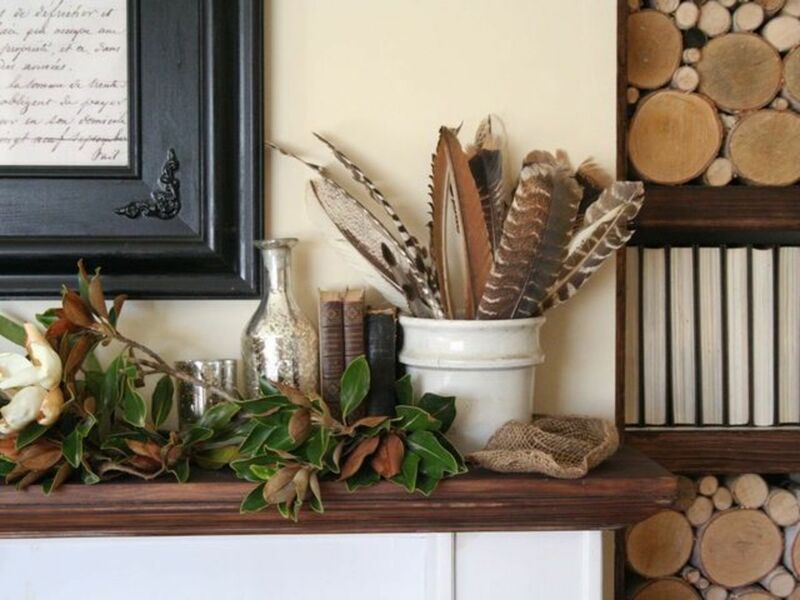 To set up your mantel so it’s easy to update for a year-round display, keep it simple and uncluttered, and invest in one standout vase. 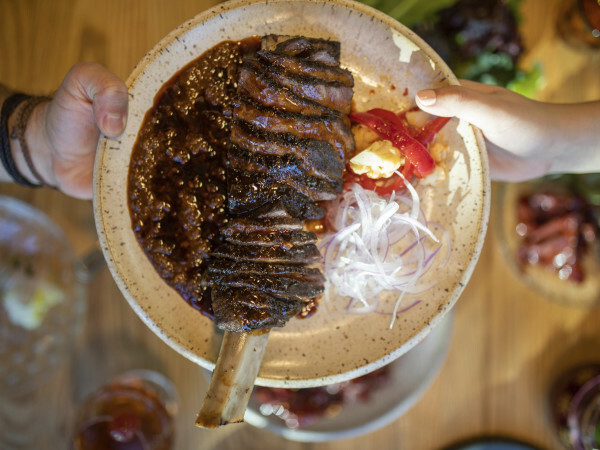 Over the year, you can fill the vessel with fresh seasonal elements, like cut branches in fall, evergreen conifer boughs in winter, delicate spring blooms, and colorful summer flowers. 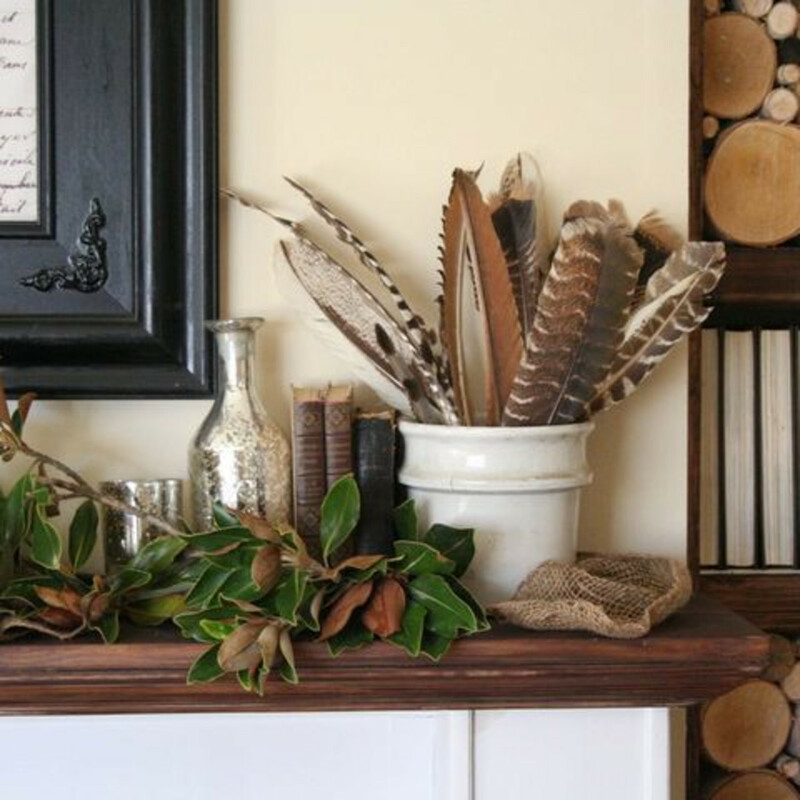 Create a textured, earthy look by combining a variety of ingredients, concentrating on putting soft, fuzzy, or woven elements (like feathers, fabric, or baskets) in proximity to accessories with smooth, hard, or glossy surfaces (like glass bottles, metal candlesticks, or shiny picture frames). 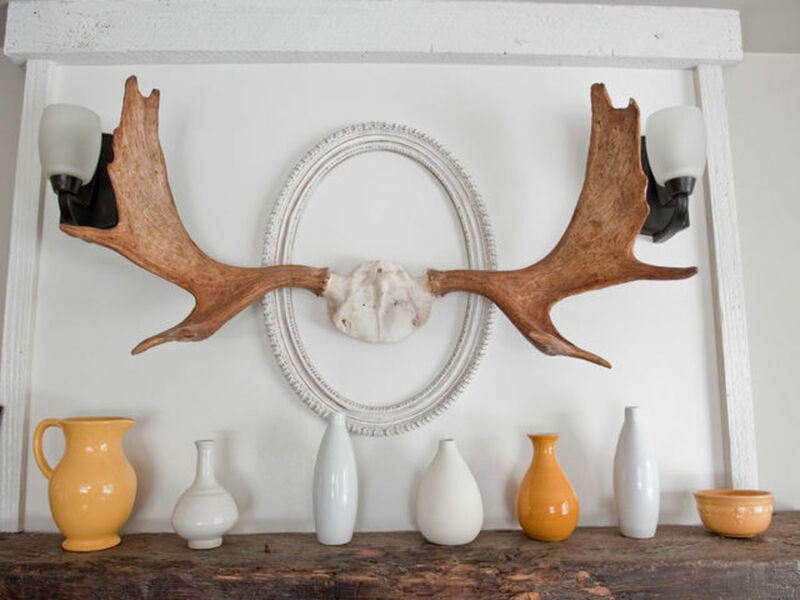 An arrangement of vases and jugs is another example of a mantel display that works year-round. 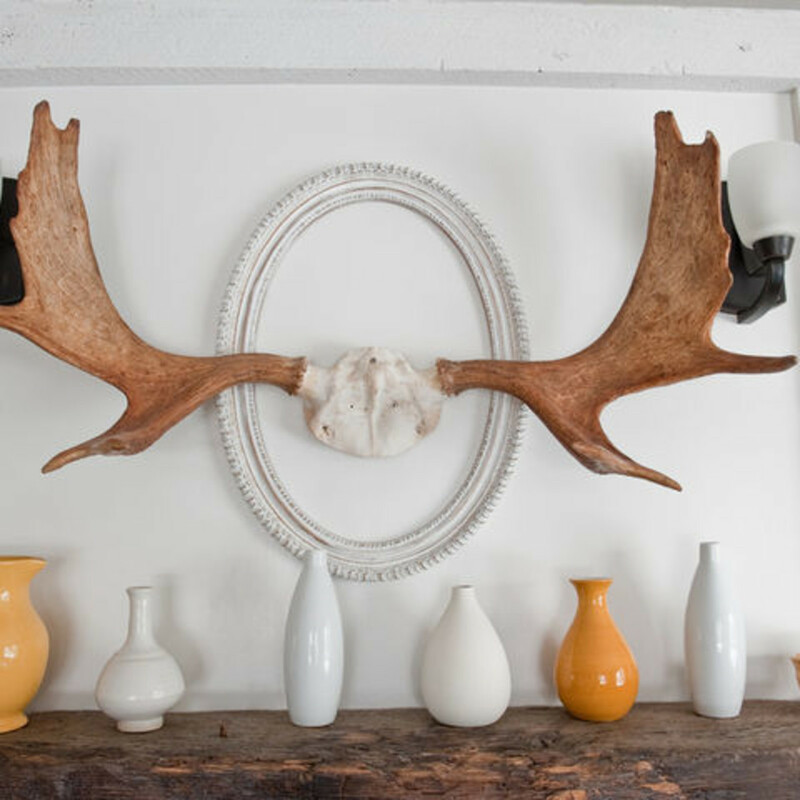 Add a few orange vases to an all-white collection for a welcome jolt of seasonal color. 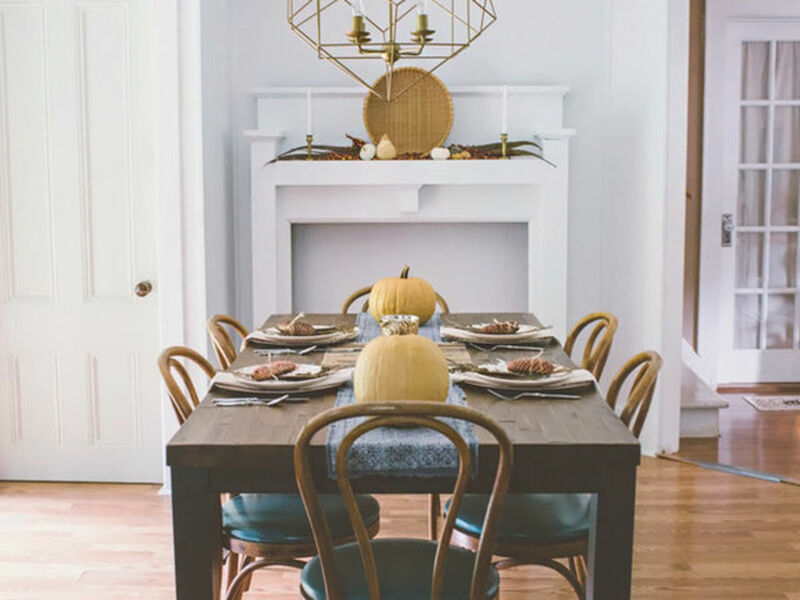 Use a flat woven basket set on edge to anchor a rustic fall-themed arrangement of pheasant feathers, miniature pumpkins and gourds, brass candlesticks, and sprays of berries. 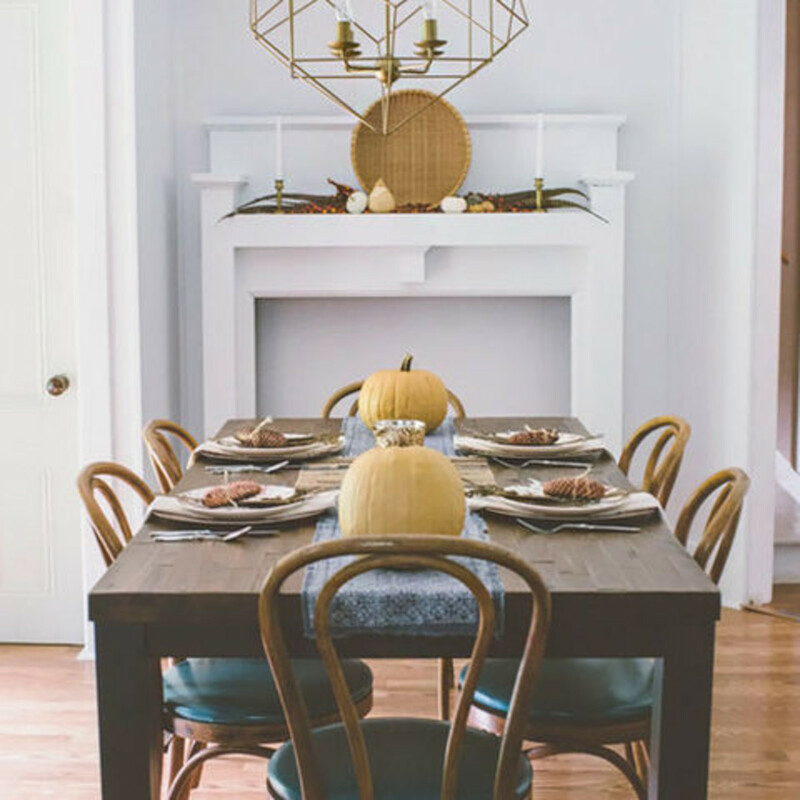 Bonus: Coordinate the table decorations with those on the mantel to tie the whole room together for a fall-themed dinner.